Provision of supplier quotations for client approval. 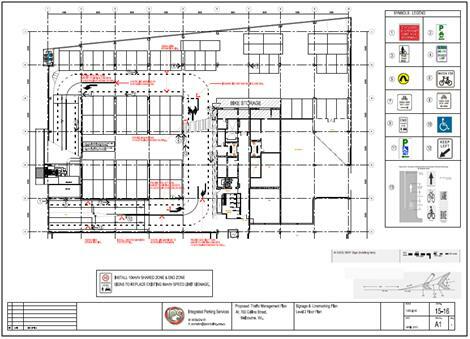 Coordination of on-site meetings with contractors, scheduling and overseeing the commissioning of works. 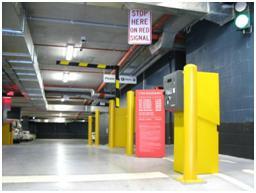 Simplicity and ease of parking are the basis of practical and functional design practice and are integral to an efficient parking operation. IPS works in collaboration with builders and architects to ensure that the proposed design will reflect users’ perception and expectation in relation to ease of access and the management of traffic and parking for vehicles, cyclists and pedestrians. 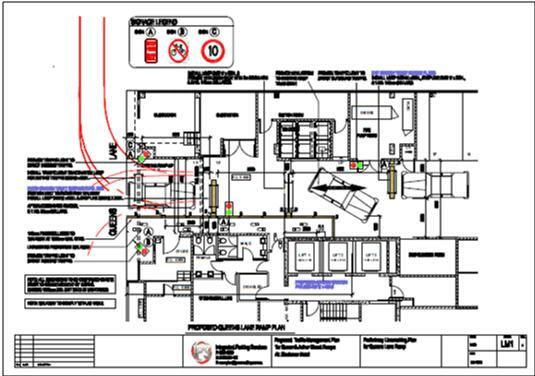 These plans can be provided to signage and line marking contractors to ensure that any work undertaken is consistent with that specified and compliant with Standards including (but not limited to) AS2890.1 Part 1: Off Street car parking and other relevant Codes of Practice and guidelines. 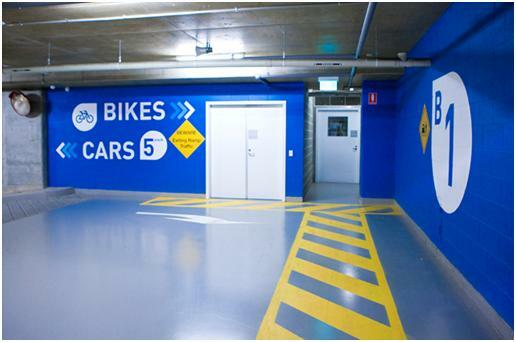 Illustrating bicycle parking facilities in locations that allow a bicycle to be ridden to within 30 metres of the end-of-trip facility and also allow convenient access to showers and other end-of-trip facilities. Illustrating the safest access route to/from the car park for managing traffic. Illustrating the appropriate speed calming devices and signage applicable to pedestrians. 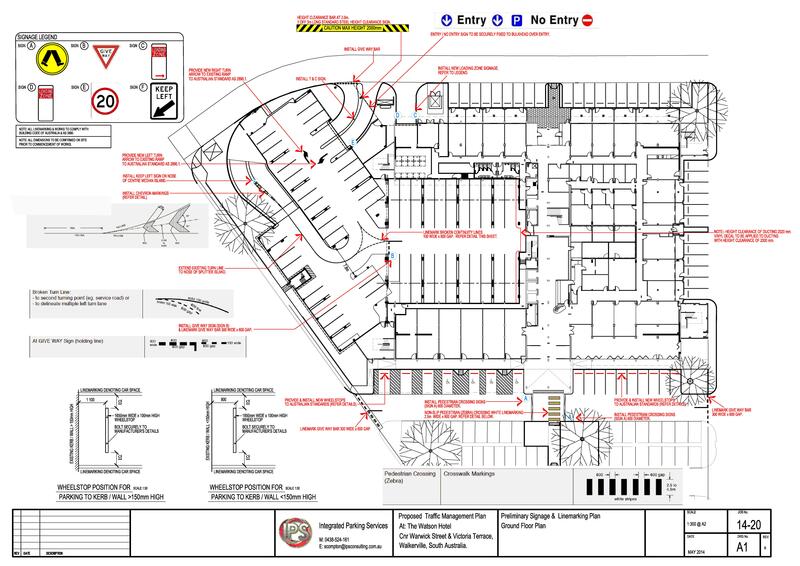 For more information on the development of Traffic Management Plans to support End Of Trip Facilities (EOTFs) and parking design for your car park, contact Integrated Parking Services on 0438 524 161.